Private sparkling pool, lovely garden, close to beaches & scenic walks. In 2016 we treated ourselves to a refreshing makeover on the villa with newly skimmed, smooth walls, simple uncluttered decor and new floor tiles throughout. We can now even boast WIFI & USB sockets in all rooms for easy charging of your devices! This traditional, single-level Spanish villa is in an excellent and sunny position on a quiet residential road. The large (10m x 5m) private swimming pool is at the front of the villa, surrounded by a tiled patio and mature palm, yucca and lemon trees and other shrubs; with an outdoor shower facility and portable barbecue. The villa has an established side and rear garden with lawns, and an additional patio area for catching the late evening sun. The garden is not overlooked on any side of the villa. On the top of the villa is an additional sun-deck with views to the sea and surrounding mountains. Inside the villa are 2 twin bedrooms and 1 double with en-suite shower/WC. Well equipped, modern kitchen . The open plan dining/lounge area has two leather sofas.There are numerous games and books, and the lounge has a DVD player and a SMART TV/video with a good selection of movies and TV channels via Satellite. My sister lives in Javea and has been a dentist here for almost 20 years and has built a great reputation in the area. When I took my husband to visit - he fell in love with the area and we decided to buy a villa so that we could regularly holiday in Javea. It had everything we wanted from a villa - crystal clear swimming pool, quiet location close to local amenities and beaches. Perfect sized living accommodation for our enjoy it every time we visit. With the recent updates (April 2014) we believe the villa is even more a home from home...a great option for a long winter let. Enjoy new heating, double glazing, ceiling fans & outside furniture. Perfect!!! The location of the villa means that there is often a cooling breeze off the sea - a relief in the hottest summer months - and a surprising view of the sea and Montgo from the roof terrace. We love lazing on a blanket in the shade of the trees in the back garden - and really enjoy the outside shower during the summer months! The main bathroom and suite is bright and modern (installed in 2007). The en-suite bathroom was new in 2009. We have just completed installation on heating system, double glazing, ceiling fans & general updates to the villa, April 2014. Brand new kitchen and en-suite bathroom for summer 2009. The villa has a balcony (naya) with a smart aluminium/glass table with 6 chairs used for outdoor dining. There are tennis courts within 15 minutes walk (clay or concrete) and a snooker hall and bars with satellite TV facilities within 5 minutes walk. We are able to provide details of local baby-sitting facilities if required. The driveway can park 2/3 cars and the front gate/fence is highly secure. 10% discount for guests on dental treatment and facial rejuvenation (botox, fillers) at Clinica Dental La Plaza, Javea - please enquire for more details. Just returned from a lovely stay at Villa Cilantro. A really lovely location towards Cap de la Nau. The villa was lovely and the big pool a massive hit with our children. The villa was nice and clean and very comfortable and was cool at night with the ceiling fans. Well situated to easily visit Grandella beach and Ambolo (both good for snorkelling - Ambolo you need to be fit to get down and back again!). Lovely recommended bakery a few mins walk away. Less than 10 mins drive to Arenal for the beach and restaurants which we know as well. Kate was superb with all the information about the villa and surrounding area and was on hand immediately when we needed to ask anything – great customer service and made for a lovely holiday – thank you. From start to finish the holiday was a success.Having visited the villa over 10 years ago we returned this year to an upgraded property.The location is ideal, the pool great and the new usb charge points in the villa were well received by the teenagers.Kate was an excellent owner keeping us well informed from booking to deposit return.We will be back. 2nd visit to villa cilantro and it never fails to please. Wonderful fortnight spent here. 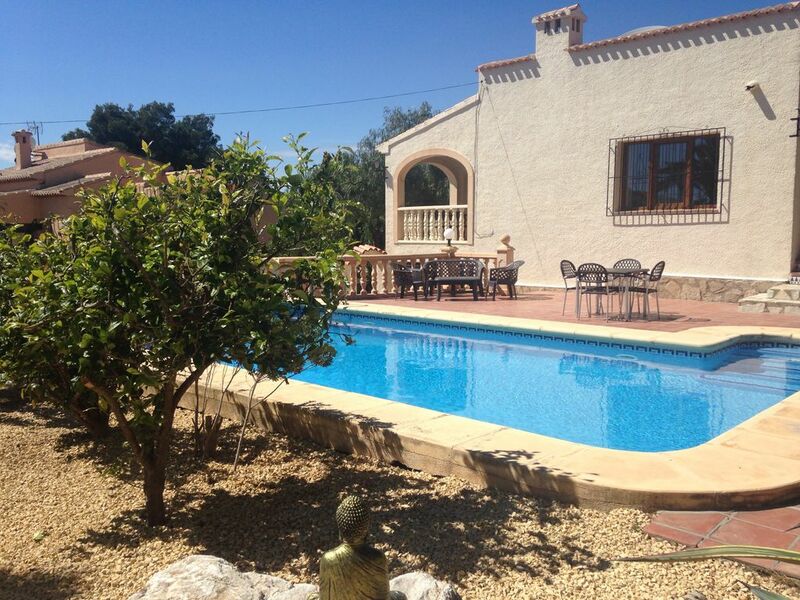 Stunning and comfortable villa, very informative owner and a fantastic location. The villa is a real home from home and everything you need and more. Can't wait to return, highly recommended. My family and I enjoyed our stay immensely, and the 2 girls had a great time by the pool and on the local beaches. The 3/4 daily swims also bought on their confidence in the pool no end, and having it deep throughout (apart from the steps in) meant it's also a great pool for the adults to exercise in. The local area is hilly but very pretty, with a great view point within about 3/4 of a mile walk, and a local shop just 5 miutes walk up the road. The villa was also very clean and had everything we needed. Ceiling fans provided just the right amount of air circulation to keep the nights comfortable. Its just a shame we were only there a week! From the booking to the arrival of our stay at villa cilantro everything was perfect. The detailed information we received from Kate before our arrival was way and beyond anything we have ever received staying in other villas. All the local points of interests, walks, beaches, restaurants and shops etc were listed giving us so much information and help. The villa was very clean and homely and very well equipped. The fantastic pool, beautiful surroundings and garden are so well kept. It really made it a great holiday for us. Also we needed more bedding as our other daughter was joining us and Kate replied and sorted extremely efficiently. To sum it up a fantastic villa, stunning location and brilliantly managed. A dream of a holiday and already thinking of booking again for next year. Villa Cilantro is situated in a stunning location in the Costa Nova area of Javea (Xabia in Spanish), in the Costa Blanca region. Newly updated with central heating for winter lets, double glazed windows, ceiling fans & wi-fi (optional extra) .It is situated in a peaceful residential location with little traffic and no development or building. Within walking distance of the villa are some stunning 'Miradors' (scenic views), and spectacular rocky coves with swimming can be reached in 10-15 minutes walk. Five minutes drive takes you to Granadella, one of the most scenic bays in the Javea area. 10 minutes drive takes you to the main sandy beach at Javea (Arenal -see photo) suitable for children of all ages, lively restaurants and bars and boat hire and diving. Further afield is Montgo mountain (15 min), Terra Mittica (Disney-like Park) and Aqualandia (huge water fun park) both within 45 minutes drive. The Costa Blanca region of Spain is renowned for it's warm, sunny and healthy climate. Closest airports are Alicante/Valencia (75 min) or Murcia (120 min) or Barcelona (4.5 hours). Please email us for an up to date quote. We will offer a discount when only 2 people renting. Wi-fi chargeable at £20 per week For a longer term lets between 1st November & 31st March (over 3 weeks), utility bills will be charged separately and a refundable security/breakages deposit of 1000 euros will be required.